Time. Time is such an elusive inconstant thing (and illusive, if you side with Einstein). They say, “the days are long but the years short”. They say, “How did it get late so soon?” (okay, that’s actually Dr. Seuss, but he’s an authority in my book). The point is, it would seem that time is vitally important and somehow, at the same time, frivolously unimportant. Days into nights and seasons into years – all things come and go as the ocean waves. Seasons. I have found that the four seasons dance to differing rhythms depending on where you are. You see, it’s mid-April and so I packed up our winter clothing last week. Right now, it is snowing outside….silly me. But in our recent home of Dallas, we would be in tank tops and shorts right now. I find that here, in the mountains, Winter is greedy and driven to beat Spring into small bits. In Dallas, Summer was always trying to come a little earlier and stay a little later. So, it turns out, seasons are not constant either. Children. I think children may be the most poignant and steady markers of time. When I look at pictures of a year ago, I am struck by how much change has occurred in the lives of these small humans. They have grown in every possible way, as though on an inevitable trajectory towards big-ness. I look at them and I feel grateful for where we’ve been, content in where we are (regardless of the growing pains), and hopeful for where we are going. As I sit here on this Good Friday, that’s also how I reflect on this Lenten season. In the pain and struggle of humanity, love will conquer, as it always has. I don’t often post a lot of photos, but in this full full year of moving from Texas to California, welcoming new people into our hearts and family, buying a home, raising and slaughtering our first hog, beginning a dairy goat adventure, failing and forgiving one another, and starting afresh in this beautiful place………you get pictures. Enjoy! Slightly unprepared for the cooling weather…. 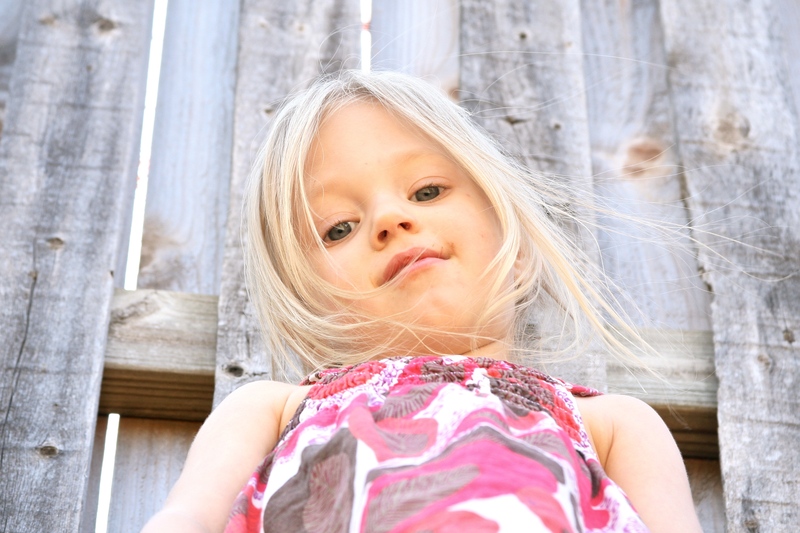 Sibling love, from hugs to being tied down in a rocking chair…. Our first attempt at gingerbread houses was…..well, it was. It is 12:51pm on a Saturday. Saturdays are extra-chore days, so the house is clean (relatively speaking, that is, for a child-filled home) and supper is in the crock pot. The 1-year-old is asleep, the olders are reading quietly behind a closed door in the “blue room”. In approximately 32 minutes, the 4-year-old will get tired of reading and I’ll begin hearing the blue room transformed into a jungle, or desert, or whatever they want it to be today. They will make-believe, using shoes for bird nests, animals for friends, and trucks for magical spaceships for another 80ish minutes. Did you do the math? Almost two hours at my disposal. Rewind a handful of years. I had my precious strong daughter who refused to sleep through the night until 17 months old (as in, waking up every 2 hrs to nurse, which it turns out, doesn’t actually allow for REM at all). When she developed upright mobility at 10 months, I got pregnant again because, you know, I thought it would be a good idea to be throwing up while my toddler was putting forks in outlets and unwinding every roll of toilet paper in the house. At 7 months pregnant, overwhelmed with not having slept in 547 nights and trying every known “method” for getting a child to sleep through the night, I tried the dreaded cry-it-out method. That lovely daughter of mine screamed for 5 hours straight. BUT, by night 4, she slept through. I did mention that she’s quite strong, didn’t I? (My husband has the great luck of sleeping through all amounts of mayhem, but believe me, those hours of screaming were tortuous). 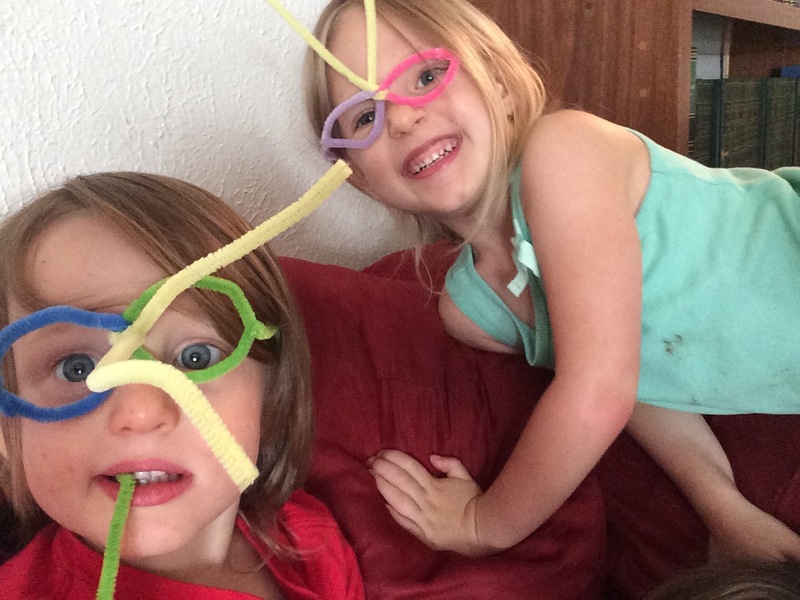 If you have one child, or two, hear this: your work is totally, all-encompassingly exhausting. Your body is tired, your soul is fatigued with no oasis in sight, and your mind, well it has atrophied to a minuscule size. It can seem like drowning in your own life and you may question if this is really what you wanted. Our society doesn’t help this at all, by the way. Expectations, comparisons, unhelpful “mom groups” that make you feel like you’re failing, and Facebook with edited pictures to make you feel insecure and insufficient. How many times have we been talking about a bad day or difficulty with your child and gotten the response, “oh, just wait until your kids ________”. Not helpful. So, to you I would repeat, it does get easier. But maybe not for the reasons we tend to think of. It gets easier because that sleepless boobie-monster firstborn starts growing up and making her own bed, getting wipes and diapers for you, sets the table, and even gets tall enough to take the baby out of the crib for you (one less trip upstairs while your octopus hands are full!). It gets easier because your older children begin having natural consequences for their actions that don’t always have to be imposed by you & then you get to shepherd the conversation in their wake. But mostly, it gets easier because you start tuning out what everyone else does and can tune in to what you do. You still need and want input and wisdom on so many things that come up, but you have the basics down because they’ve been born through the fire of the first two children. The other biggie: grace. Just like starting anything new, there’s a learning curve. (Unlike many things, the learning curve of motherhood never ends…). 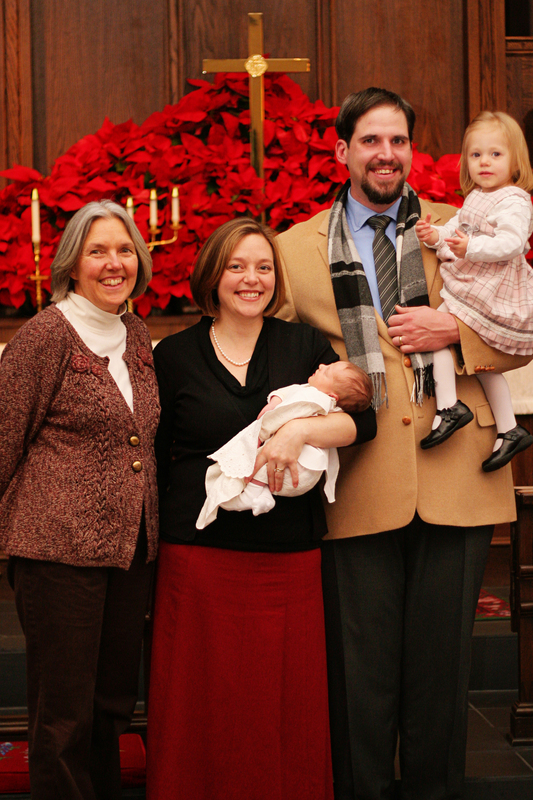 As the children come, with all their anecdotal glories, grace becomes a more practiced necessity. Grace with oneself, grace with your mate, grace with your children, grace from the creation around you, grace from God. Remember when you thought you were a pretty great person while single and realized how difficult you were to live with when you were a few years into a solid relationship? That’s similar in the parenting sphere, only the honing and sharpening comes from these little poopy humans you brought into the world. Let me tell you, grace is needed from and in every direction. Now it’s 1:24 and I have at least 45 minutes left to be alone, to meditate, to do whatever it is that refreshes me. I wish that I’d known that this time would come, it may have helped the long days and longer nights of my firstborn. I sit in my lovely rocking chair watching the snow fall hard and gently outside, warmed by the the ever-changing orange glow of the fire beside me. My friend, a dear 93-year-old man, gave this chair to me as a gift. His wife of oh so many years had rocked in it as he composed piano concertos in their living room. It’s one of my most precious belongings. I feel the warmth of the egg nog coffee in my hands. I rock. I think. The New Year always comes with a cosmic musefulness to it. I allow myself to wander and remember. This time last year, my internal world was crumbling. Too much doing and not enough being. Too long picking up other people’s pieces and imagining I was holding them together. That weight became heavier than my frame could bear and in revolt, my insides raised a white flag with as much subtlety as stampeding buffalo. Even now, I feel the emotions swell within me as I venture to recount those months – but today, with a new year ahead, I take the time to be a part of the swell, to feel what I didn’t have the capacity to feel back then. Each emotion is so vivid, strengthened by the suppression. (Never be fooled, putting emotions into dungeons only gives them more strength, a loudening static deep within making it increasingly difficult to live in the present). In the difficult months of the early year, I can now see how much beauty lay there as well. My lover became a stronghold for me and our children as he gently dealt with all the details of our life. He not only took care of our three children, but also did all the mundane things which make life move – the laundry, the shopping (guess who didn’t set foot in a grocery store for 3 months! ), the toddler mediation, the baby rocking. He let me (made me) rest. Through those long weeks, he was directing me to “do whatever was nourishing in the moment”. I would read a book until it became tiring, then stop. I would sleep for hours in the midday. I would walk or run or roller blade whenever it struck me to. In that valley, our friendship and marriage were fortified into a mountain. We had luxurious amounts of time together as a couple and as a family. We made a new family friendship that was fast and furious and deep. We planned for a new adventure ahead. These things were beautiful and good. I want to remember that they were the result of the struggle because vision is so often found in the valleys. In the whirlwind of Spring, we moved a couple thousand miles from Dallas to a place in Northern California you’ve never heard (though treasured by its 1,647 inhabitants). We unexpectedly lived with my gracious parents for 8 weeks while Escrow was delayed and delayed and delayed. We bought our first home. We planted a Japanese Maple in the yard. We got two milk goats and a hog. Our goats ate the Japanese Maple. We had the great pleasure of being a part of the community pulling together to support a Farmer’s Market. We sorely missed those we left behind in Dallas. We soaked in the grandeur in the landscape all around us, a salve for the weary soul. We harvested and preserved pears, apples, plums, potatoes, cabbages. We weathered the morphic unrest that followed in the wake of the election. We enjoyed a white Christmas. We watched the Cubs win the World Series for the first time in 108 years. We have laughed and cried and laughed again. We have found, yet again, that God is present in the valleys and on the mountains, though more clearly seen and poignantly sought when in the valleys. While I cannot yet say in full honesty that 2016 was a great year, it was a year where we changed and grew and loved and stayed open – to ourselves and others. It was a very vulnerable year. Maybe that’s how years should be. Home is an illusive changing thing. As a child, “home” needed no definition: it was a reality and a rhythm and an unquestioned state of being. As a fresh college student returning for a break, home seemed like a shadow, still connected but I stood somehow separate and above – casting a past and projecting a future. After traveling the world and returning home, the sense of familiar remained but seemed strangely floating and undefinable – I interpreted this as a change in myself. I had this unsettled feeling deep within that I no longer belonged in the place where I had become. I remember a sense of fear at this discovery. Many years have gone by, and at various times this creeping fear has surprised me by its reappearance in my life. Sometimes it has been grippingly present as I wake in the morning, only fading slightly by the time my head hits the pillow at night. My mind has groped for reasons, ways to understand this unwelcome feeling within, attempting to find coping mechanisms for existing in the present. Recently have I realized that a longing for “home” has little to do with place and everything to do with self. There is, within humanity, a desire to have a mummified self held safe and sound in a known location. As long as we have that, we can travel the world, fall in love, change social groups, bring new humans in the world, change and be changed in nearly every way. Then at Christmastime, when that bite of great-grandma’s pie hits your tongue *BAM* mummified self sighs with relief. Home nostalgia floods the senses. All is right in the world. I’m in my thirties and after a long absence from the place where I grew up, I am moving my family across the country back to my mountains. Only, there is no going back. Our language reflects this idea that we can “go back” to places, but we can’t. Nothing is static, not us, not home, not place, not people. Nothing. The mummified self doesn’t exist. For the first time in my life, I am so very thankful for this. I find it freeing. I can embrace the change in my self and the change in the place and the change in others that is the reality of the present. So, Home, I am coming. But I am not coming back. I am coming to discover you again, delight in the sense of familiar, resolve the awkwardness we will have when we find where we have both changed, introduce you to the small human selves that run around outside of me, and invite you to discover the love of my life who is inextricable to my self. This family that I bring is more my home than any place will ever be, but I am so excited to watch you captivate and enchant each other. Supported by my dear husband, my mother, my sister-friend, & my midwife-sisters, on July 30th I was delivered safely through childbirth for the third time. I am always overwhelmed with gratitude as I lay in my bed staring at this complete human who just came out of me. Somehow, I grew this thing, waited 41 weeks for the magic to happen, labored through the longest three inches of life and popped out a human. The world is a wondrous place. In the past two months, I’ve been a part of the miraculous emergence of 20 little ones. Women are amazing creatures. 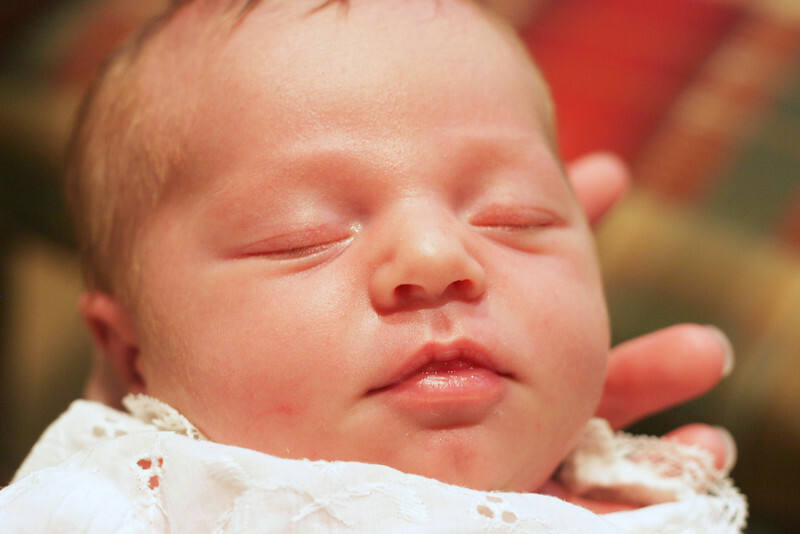 The journey of bringing a child into this world is one of surrender and intuition. From the first waves of nausea to the last surge of contractions, we are learning to embrace the uncontrollable storms of motherhood. 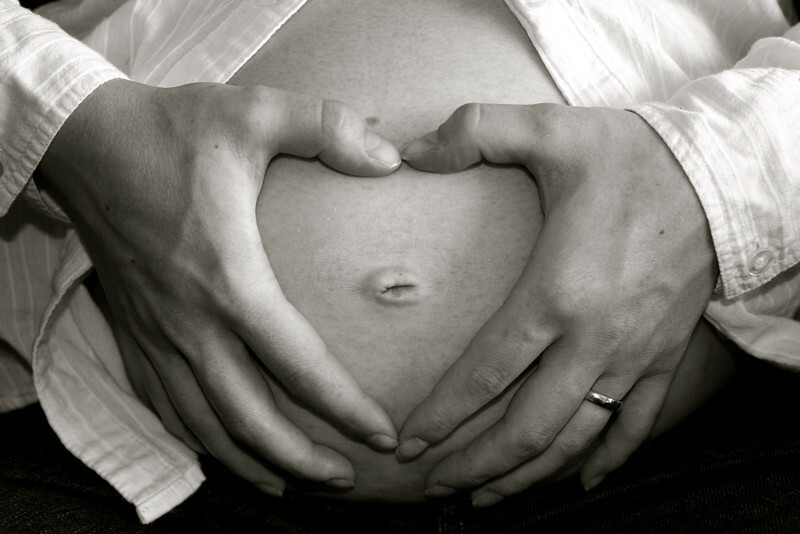 The 9 months of pregnancy are simply a concentrated form of our redefined existence. This thing changes us. These little people have heard our heartbeat from the inside and then we continue to give that heart to them as they tromp around with it on the outside. I sit and think on the wonder of it all. I offer thanks for the joy of life. I hope that the delight I have now, during nap time, I will have the strength to preserve from 6-8pm (mothers of toddlers, past or present, will know what I mean). Today I will embrace the now of rosy cheeks and tantrums and made-up games and sleeplessness and little giggles and mopping twice a day and Dr. Seuss. Today I will bask in this blessed life I dwell in. The cold wraps around me. Like an unwelcome guest, it breaks through my skin and hits my bones. Iowa excels, once it hits freezing it decides to keep falling, skydiving and hoping that the rope catches before zero. I sky-dove once and was sore for days. I didn’t feel immortal. Gravity pulls, always pulls, towards solid ground as though it wants to consume everything into itself whole and entire. The dirt stops it. We don’t fall into the earth’s core because of dirt and earthworms. I have hairs in my nose. I forget about them most of the time. The only time I remember them is when my breath turns to steam and comes rushing out of my lungs to gleefully greet the atmosphere only to be shocked motionless at my nose hairs. Mini icicles form in my nostrils, reminding me of their existence. FEAR, like gravity, pulls insatiably towards the depths. But earthworms don’t stop it. It’s a sinkhole for the soul. It will encompass you like the cold and seep into your pores, leaking by osmosis into your bloodstream. It doesn’t belong there, but given the right permeability, it will let itself in without knocking. 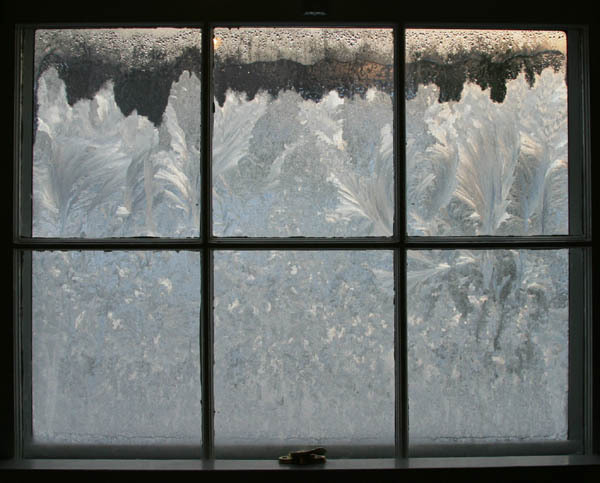 Window frost occurs when glass is not properly insulated. Most of the time the inside air and outside air know their places, neighbors that have conversations only in the warm Spring or Summer months, maybe even when the first chill of Autumn heralds and the novelty of it causes windows to fling open. Frost breeches civil niceties. It senses the warmth and moisture inside and in the cold of winter, creeps up the window under the pseudonym of Jack and makes pictures on the glass. Most of them are pretty. Fear is not pretty, but it does creep. It doesn’t belong inside us. It craves our peace – not to abide in it but to devour it. It feeds on peace like hoarfrost, it makes our green souls aged and grey before their time. Caring not for dermal layers, it dives deep into our veins with its icy breath and spreads like frost in the night. Only it doesn’t leave pretty pictures. It etches into the heart like a Blackhorned Pine Borer. The borer rarely chooses healthy trees. It chooses stressed ones, the kind that have low defenses to creeping things. It injects larvae and they do their work, eating away at life. Souls are trees. Sunshine, water, roots in healthy dirt – these provide the nutrients needed for survival. If the pine borer has taken a limb, it must be cut off. Cut off the old man. Embrace the incensive power of the soul. Find the rot and be rid of it. Be thankful, always thankful. Where you are not, you will find discontent and hungry larvae winding their way under your bark. Cling to joy and in its warmth, the frost will melt. Grasp to truth and the deadly pestilence will flee. Angels will guard you, they will protect your toes. That’s what the psalmist says. Gravity will always pull and fear will always creep but the souls of the redeemed will soar. In the moments of clarity, insulate your windows. A beautiful bulging belly, the image of fruitfulness and love, sat before me. Her eyes were brimming with the life growing inside of her, a life which would soon burst through her heart and shatter it into thousands of droplets filled with colors and light and make a rainbow of her soul. There were other feelings there, in the pools of her eyes: fear, insecurity, doubt. My pastor once said, “God gives children to the most inexperienced people.” Here she was, wondering how the never-ending nine months could have flown by so quickly. Ready or not (as all parents learn, firmly “not”), this baby is coming and coming soon. She was my patient and her question seemed simple, though her voice was anxious and taught, “what do you keep in your home medicine cabinet? I want to make sure I’m prepared.” Being a leaning-towards-hippy-and-all-things-natural midwife who was also raised in the rurals of Northern California by a saintly woman with solid nutritional, herbal, and medicinal values, I should have had a ready-answer. 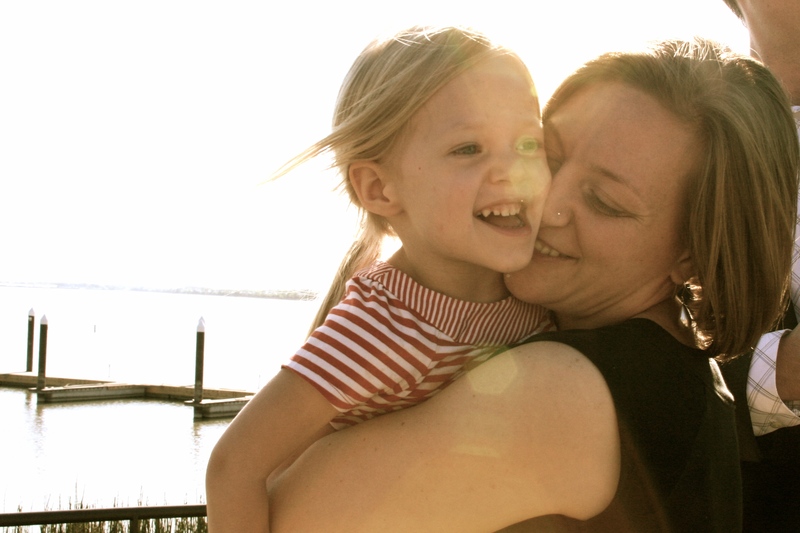 But, being a real life mother, there was this rush of panic, self-consciousness, and insecurity. Startled by this unforeseen halter, I noted that our appointment was running long and I’d be delighted to answer her question the following week. This is not about what’s in my medicine cabinet. It’s about stepping into the wardrobe behind the medicine cabinet and choosing who to trust in a wide and unfamiliar world where you are the monarch and responsible for taking care of lives. 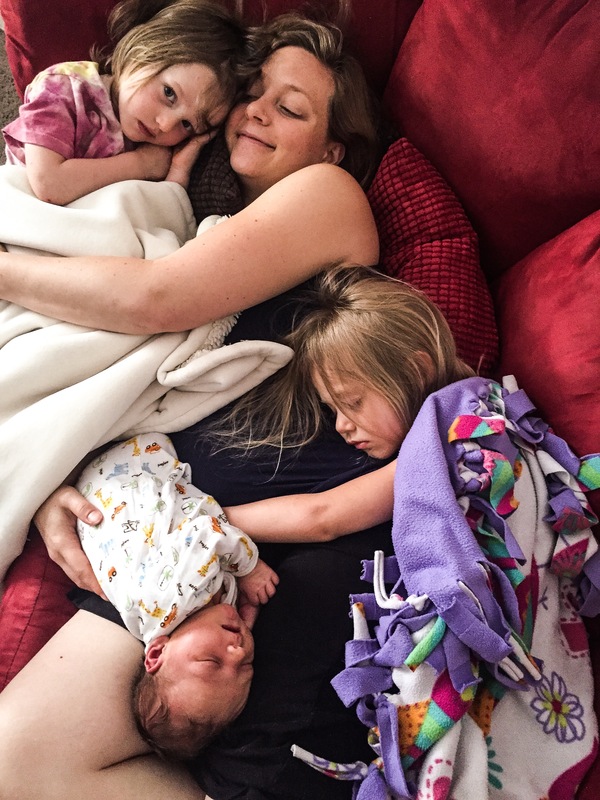 You discover during pregnancy that everyone feels the freedom to tell you what you just have to know and just have to do and just have to… And then you wade (or drown) into parenthood and there are even more voices telling you what you should do or think. How and who do you believe? How do you choose who to trust? What do they know, anyhow? Pretty soon you’re requiring everyone’s credentials, background, and philosophical position on modern medicine before you lend them an ear. And THEN you realize that you’re not one bit closer to making a decision and really everyone is out to confuse you and how, oh how, can there be so many opinions about every tiny piece of parenting? (If you don’t believe me, just speak the word “immunizations” publicly and experience the torrent of opinions that follow). In my profession, there are things that a pregnant/laboring/breastfeeding woman should do (eat well, drink plenty of water, stay active…) and shouldn’t do (smoke, drink diet soda, run a marathon after 36 weeks…). Everyone agrees, these things are sound and smart and will always be true. Science is not what we as moderns tend to think it is – it is not static or infallible or universal. Wisdom, however, is. We need both, but not equally. Wisdom is a gift; science is learned. Wisdom is unpalpable; science is experimental. Wisdom is unprovable; science is theory proved to law. Wisdom emanates from the Almighty who alters scientific “law” upon His whim (or request, sun standing still and all). Wisdom transcends us yet is deeply personal, piercing to our conscience and ordering our ways. When someone says something like, “you should try using essential oils when your child has a fever and you’ll never use Tylenol again” or “you really shouldn’t give any vaccinations before your child is one year old, my 5-month old had a terrible reaction when we vaccinated,” this is confusing wisdom for science and making intuition a universal law. I am, you are, responsible for the little lives given to our stewardship. For an indefinite amount of time, they are ours. Mine are not yours and yours are not mine and the woman in Target or at church or at playgroup does not know what is best for your family. We need community, we crave input, and it’s good to seek advice, but both the decisions and consequences of our family’s health are responsibilities given to us as their parents. I am not saying to trust your intuition and throw all else to the wind. I am encouraging you to do your research, talk to others, ask questions of professionals, soak these things in and seek wisdom. Do not be driven by guilt or insecurity, there is no shame in having (or not having) Benadryl, Tylenol, Ibuprofen, or any other medicine in your cabinet. Vaccinate or don’t vaccinate based on research or trusting your care provider. Don’t make these decisions from fear, for in parenting the fear threatens to run deep and cloudy through all things, marring joy and stealing peace. The Good Lord has given you intuition for your family. Incline your ear and learn to trust. Trust God’s provision, His plan, His love for your children. Surrender them to Him and you will find freedom from fear. I’ve never written anything on my own birthday, as it seems somewhat pretentious to do so. However, this year and at this moment I reflect upon all the years and moments that have brought me to this one. The people, the joys, the trials, the friendships, the sorrows, the laughter, the tears, and the LOVE. While I write this I am standing at my kitchen counter watching my two toddlers play ring-around-the-rosy on top of the kitchen table. Jumping and giggling and falling down on bottoms is much more fun when it’s three feet off the ground. That’s kind of how I feel about life at the moment – the falls hurt much worse but the fun is oh so much funner. Yes, funner. Before I had children I wouldn’t have left bad English in my posts. But, I digress. Today I count my blessings in shorthand. The LORD has been kind to me since before I can remember and that kindness has most often been showed through many of you. So, here is my thank you to all of you who have walked with me on portion of this journey called life. Due to the aforementioned children dancing on the table, my specific list is short and sweet. Jason: thank you for keeping your sense of humor as well as keeping me, whether in humor or out. You are a good strong man and you have become the sharpest iron in my life. I am a new person in marriage, and while that feels foreign at times, I am very very blessed to be joined with you. You’re also the most fun iron in my life. Sophia: you are precious to me. You are different than me in many ways and we are learning to dance a very complicated dance, you and I. When I earn a giggle from you, it is sunshine to my soul. I am thankful for your spirit and your stubbornness. Augustine: you are delightful. Though you are the most disgusting person I’ve ever seen at the supper table, your smile breaks through the smeared food and warms my heart. I am thankful for your undaunted cheerfulness and ease with life. Mom: I am grateful for a mother become best friend. You have been my closest and longest advisor, admonisher, encourager, and companion. I have no words to express the depth of gratitude I have towards God for seeing fit that you should raise me and befriend me. The din in the background has increased and is no longer on the table but lapping at my legs. Suffice all to say, I am blessed very blessed by God’s grace and mercy through those around me (literally and figuratively). I pray to be as faithful to you all as you have been to me, that as I grow in age I may grow in grace and in the knowledge of our Lord and Saviour Jesus Christ. Oh, my dear little Sophia. Three years old today and I can still feel the knitting of our souls and futures over nine months and the feel of my nose on your newborn cheek. When you were born, you became part of my salvation. One day, when you are older, I will tell you how, in your 1-week-old form, you were the ray of Light that the Divine hand used to dispel bitterness and bestow hope to my cracked heart. When the waters of your baptism washed your head, they poured grace upon grace upon the dry soil of my life. In those early weeks, I never could have known how you would try me, make every night sleepless, grow a stubborness greater than mine, show emotions as freely and changing as a rushing river, or cause me to weep for the days when I did not know how to shepherd your heart. But, I also didn’t know then how your chattering little self would become my closest and dearest companion through the days, that your insistence on picking dandelions for me every day teaches me to slow down and find weeds precious, that your giggle is priceless because it is earned, that your changing clothes ten times a day would bring me joy because you love color and find my earth tones boring, and that watching you care for those around you would bring me delight. My dear girl, in the past three years I have sat by your death-side and by your bedside. God has given you strength and sustained you by His Power to be a mighty little thing. I praise and give thanks for all the unforeseen that has been and is to come in your life. How I pray that as you grow in age, you would grow in Grace and in the knowledge and Love of God. You are part of my salvation and I pray to always be part of yours. I love you, my pumpkin seed. Nietzsche couldn’t understand; Hitler got it backwards; Marx forgot humanity; and the Modern Christian gets it all wrong without thinking at all.Going against the wisdom of this world, Christianity resembles more the survival of the weakest than the survival of the fittest – making foolish the prophets of our age. In his work, The Anti-Christ, Nietzsche said, “The weak and botched shall perish: the first principle of our charity”, but St. Paul maintains that, “when I am weak, then I am strong”. The German thinker claimed that “a [man or society] is corrupt when it loses its instincts, when it chooses, when it prefers, what is injurious to it” but the world’s Savior said “take up your cross and follow Me”. 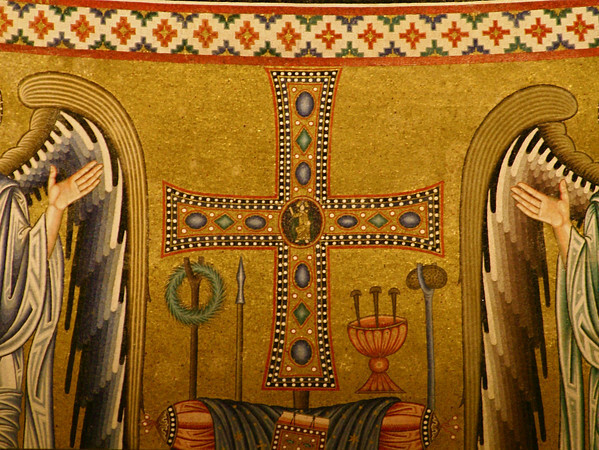 The morality of Modern Man declares virtue as “whatever augments the feeling of power, the will to power, power itself” while the Son of Man requires His followers to be “clothed in humility.” With condemnation Nietzsche wrote, “The fate of the Gospels was decided by death”, with acclamation the Patristics agree. Christians are insane, or at least they should be.Lent is the embodiment of the Christian life in a Season, and as such is a portrayal of good Christian lunacy. So, dear readers, accept for a moment (at least the duration of this article) that you must die to live. The story of Lent is one that encompasses all the Covenants, both past and future. It is Joseph who lay bruised and beaten in the depth of a pit only to rise up and be clad in Pharaoh’s clothes. It is desert-exiled Moses, a reluctant shepherd, who led God’s people to the Promised Land. It is a very sore Abraham, cut in his old age, who would have descendents enumerating the hosts of the sky. It is a short kid named David who conquered his fear (he couldn’t have had that good of an arm) and received a Throne. It is a girl pregnant out of wedlock who denied all pride and became Theotokos. It was God in flesh, battered and crucified ascending into heaven. And it will be our eternal judgment and the eternal banquet of the faithful. Christians old and new live in a backward reality. In this Lenten story, we have all become Adams, hiding from ourselves and God, forgetting (or trying to forget) that He sees all. And so Lent is the time when God walks through the Garden, calling our name and asking us what we have done. We wriggle and whinny ourselves in every direction, pointing fingers and passing blame as layer after layer reveals us as basely human. Once we are stripped, our nakedness in plain view, then God begins to sew clothes for us. That usually happens around Day 39. Lent is my favorite Season (which many find quite strange). I have a devotion to Lent because it is the journey of Christ. I walk unreservedly with Him in the desert of hunger to face demons and find angels. He asks us to follow Him unconditionally as He treads upon the thorns of sin with hope, but no sight, of a rose. He gives strength to be crucified with Him, to go down into the depths of Hades with Him, to die with only rumors of a resurrection. Forty days to see my utter depravity. Do not think that it is morbidity that finds love in these things. It is thankfulness that our Lord Christ would walk this earth to kill death itself and then, having finished the race, grants us the Spirit to share with Him in His suffering. In Lent the Spirit reveals with utmost clarity who I am, and utterly disturbed by the sight, I run to Christ and cling to Him, seeking to be clothed in and with Him. Lent is also the sequence of our baptism; in baptism, we are drowned. Our old man is left gulping down fonts of water and suffocating while our New Man is raised to the newness of life. In the depths, in the fires of hell, in the baseness of humanity we are held for forty days. One day a week we are allowed to grasp a short breath of air, a wisp of victory, then under we go again. We are left to stare up through the blurred current at the Light, and as the days pass the darkness grows darker, and yet somehow it seems that the rays of the sun penetrate clearer through the rivulet of rushing sins. We are drowned in Living Waters. In Lent we have been drowned, buried, and burned – we have experienced the eternity of forty days. But then our shoulders are grasped by strong hands and we are raised “In nomine Patris, et Filii, et Spiritus Sancti.” We come out of the cleansing river and we breathe truly, for we have the Breath of Life restored in our lungs. We see truly, for we are blinded by the Light which casts out darkness. Easter has come, and we are not only raised with Christ, but we ascend with Him into the heavenlies. Here we are accepted to that Heavenly Banquet in the most unshrouded glory of the year – Christos Anesti! Nietzsche was wrong, Modern Man is a liar, Reality is not as we thought it. We have died to live.